As we prepare to say goodbye to 2016, the Maggie Society cannot be any more thankful for what we have accomplished this past year! 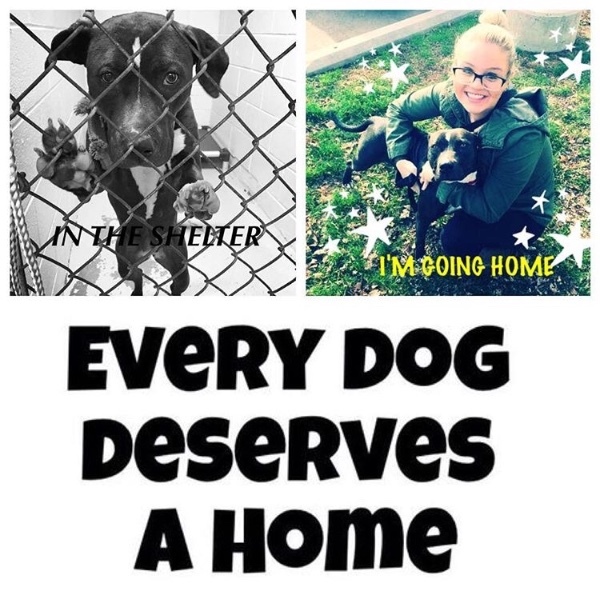 With the support of our donors, volunteers and fosters, OVER 715 dogs found their forever families this year! IN ONE YEAR! For a group of our size we think that is pretty doggone PAWSOME! We would be even more elated if we could reach our goal of this campaign by midnight! 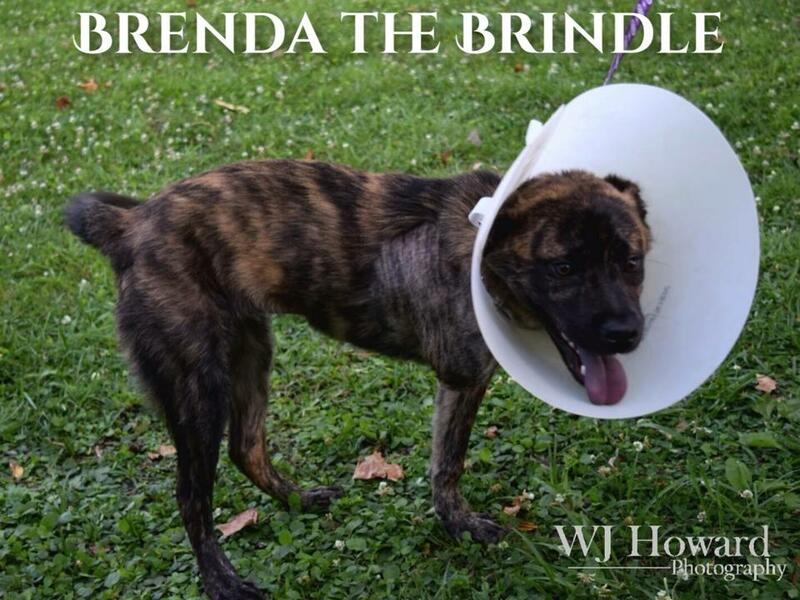 Don't forget donations are now tax deductible! Ember, just one of the dogs that found her forever home in time for Christmas! The Maggie Society is teaming up with Lee Chrysler/Dodge/Jeep/Ram (Lee CDJR) for "Motors, Music & MUTTS" on April 23, 2016! 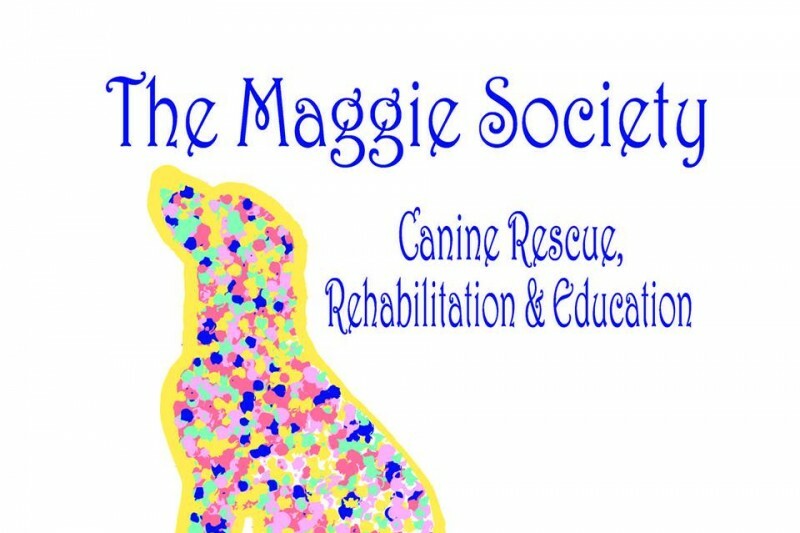 This is an adoption event for the Maggie Society with special guests the TAZZ BAND! Admission is free but donations are welcomed! 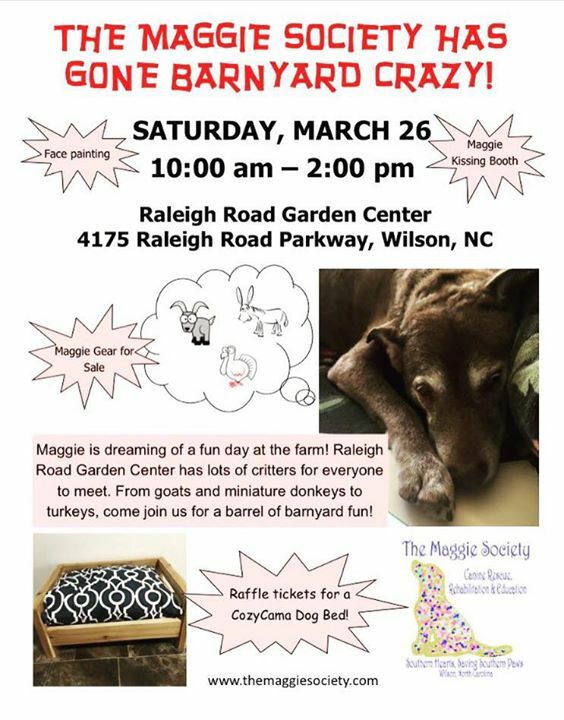 Come out to Raleigh Road Garden Center this Saturday for a fun day with some barnyard critters! Here is a write-up in the Wilson Times about the recent HUGE rescue! "No dogs left behind. That was the mission this past weekend when the Maggie Society teamed up with its sister agency Wags Rescue out of Pennsylvania and rescued dozens of dogs from shelters and the streets in an effort to give them a new home. Together the nonprofits rescued 120 dogs and 13 kittens, which were transported to Pennsylvania on Monday. Lauri Robl Brumfield, founder of Maggie Society in Wilson, said volunteers headed out to Wilson County and Johnston County shelters. "We took all available dogs,” she said. While the Maggie Society transports rescued dogs once a month to its sister organization Wags, this trip gave Wags volunteers and board members a chance to make a trip to Wilson and meet shelter staff face to face as well as spend time with Maggie Society volunteers, officials said. "It helps us to continue our relationship with our sister group,” said Emily Schnarr of Wags Rescue. She said the goal is to find the rescue dogs good homes. Otherwise, they could die in the shelters. While the two agencies work hours each week over the phone, through Facebook and even by email, this once a year trip gave volunteers a chance to connect one on one. But this year’s trip put a snag in their plans due to the weather that swept through Wilson and beyond. Volunteers had to keep pushing back the day of transport to Pennsylvania due to the snow-covered roads. Robl Brumfield said they wanted to ensure the dogs and volunteers arrived at their destination safely. But once the weather cleared, Wags volunteers left Wilson Monday with many dogs who are now up for adoption. "They brought down two vans,” Robl Brumfield said. She said the annual mission is also a chance for Wags volunteers to go out with Maggie Society volunteers and rescue dogs, wherever they may be. The Maggie Society works closely with the Wilson County shelter each week. " Thank each and every one of you for helping g us save lives! We couldn't do this without you! Every dollar counts! I saw Grover's picture on Granville's page - thank you!! Thank you for all that you do to help these animals! I'm donating this to help Shyla, an abandoned fog you recently rescued, or in any way that you need! I am not physically able to have or foster an animal. I am so very thankful for all of the wonderful people who give so much ! I donated because I care and because I'm blessed to be able to do this.